For most Disneyland Paris fans, the story behind the attraction is familiar and repeated countless times each year, but the one thing that is often forgotten is the optimism behind the attraction and how it could ‘save’ Disneyland Paris from its loss making nightmare. To do this, Disneyland Paris launched what was to be their largest advertising campaign since the resorts launch. 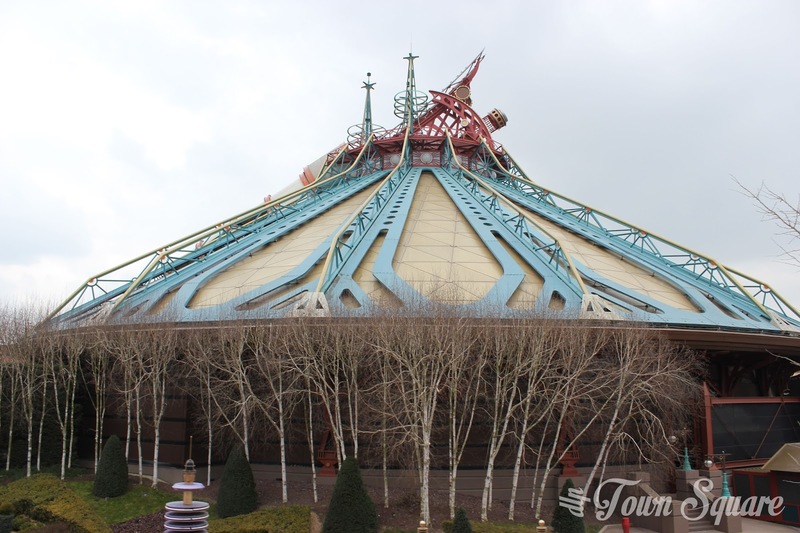 We take a look at two campaigns, the original ‘De la terre à la lune’ campaign, but also how Disneyland Resort Paris marketed the new updated version of the attraction. The marketing campaign for the 1995 attraction opening was, what can only be described as massive. If it was Space related, Disney was eager to get involved. Take the above advertisement: 1960: The dog went. 1961: A Russian went. 1962: An American Went. 1995: Now, it’s your turn. Space Mountain was described as ‘The biggest adventure in the galaxy’. 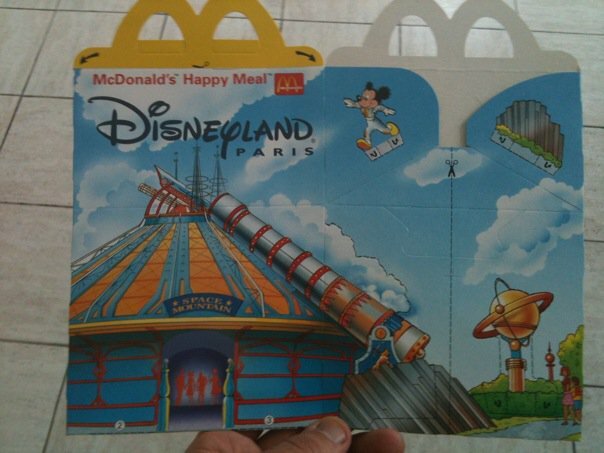 Disneyland Paris even advertised their product on Happy Meal boxes, the boxes had several different designs (One for each land), these type of promotions were run quite often between Disneyland Paris and McDonalds until Disney ended their connection with McDonalds in 2006. Perhaps you were a little bit too old for a Happy Meal? Don’t worry, the marketing hit you too. Perhaps you’d be more tempted with a ‘Menu Space Mountain’? 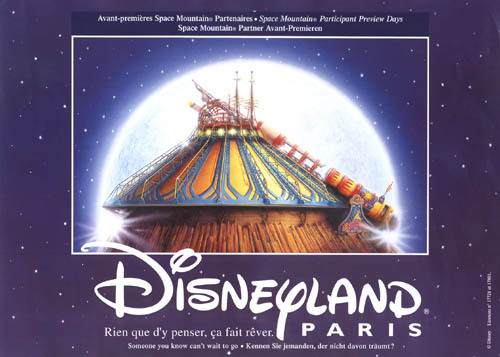 Even your Disneyland Paris park ticket advertised Disney’s most ambitious adventure yet! Perhaps you were participating in the preview days? Perhaps the strangest partnership that Disney entered in was that between it and Renault to launch a limited edition ‘Renault Espace’ car. (Espace translating as Space). It was impossible to avoid the almost guerrilla marketing tactics that Disneyland Paris were putting into action. The official Disney advertising campaign that was sent across Europe was perhaps their most inspiring advertisement yet, yet incredibly simple. It involved close up shots of various aspects of the attraction, and a silhouette of the building, with some ‘futuristic’ sounding music (well, futuristic for the mid 90’s). This will probably be in front of your copies of the Lion King, despite it being over 10 years old, as soon as we watched it, we remembered it. This was a highly effective advertising campaign. A French 30 second TV Spot created the buzz about an astronaut being launched into Space. A British channel BBC Two (which doesn’t air advertising due to it being paid for by the British public) effectively aired a 45 minute advertisement for the attraction in the form of a behind the scenes documentary which has become celebrated in Disneyland Paris fan circles. Beyond traditional advertising, the launch of an attraction can be the most effective form of publicity, if done with enough celebration and media interest. Press events at Disneyland Paris have become known for their extravagant press events, featuring fireworks and world premiers, most recently featuring the Light’Ears for Disney Dreams! for the start of the 20th Anniversary Extended. The inauguration featured tributes to Frenchmen George Méliès and Jules Verne in an extravagant show, the book ’20 years of Dreams’ states that 50 performers had pyrotechnic elements on their costumes and three buckets of fireworks were launched around the park, in one of the biggest fireworks shows ever seen at Disneyland Paris. Keeping with the space theme, the guest of honor was a certain Mr. Buzz Aldrin and the rocket man himself Elton John played a concert to 40,000. 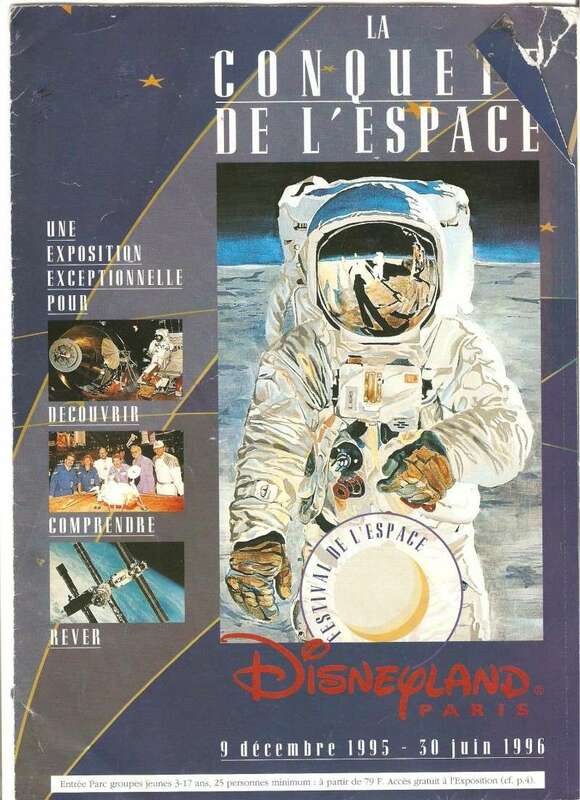 A little later on in the Year Disneyland Paris launched their ‘space festival’ where rocks from the moon were able to be touched by guests, as well as explore replicas of the Apollo spacecraft. 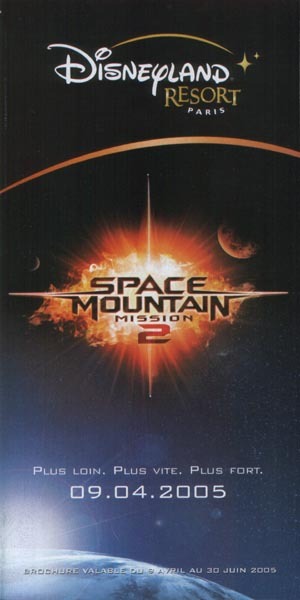 In January 2005, Disneyland Paris astronauts took their final voyage to the moon before it closed for several months to become ‘Space Mountain Mission 2’ which launched in April 2005 featuring the same track layout, but an adjusted storyline and all-new music, which lead Disneyland Paris to a tough question. Just how do you market an old attraction as if it was brand new? Don’t worry, it’s not quite as it seems, this game was essentially two existing games rolled into one. Disney’s Rollercoaster and Walt Disney World Magical racing tour. Nevertheless, a fantastic advertising strategy to your target audience, who are mostly at the video game playing age. 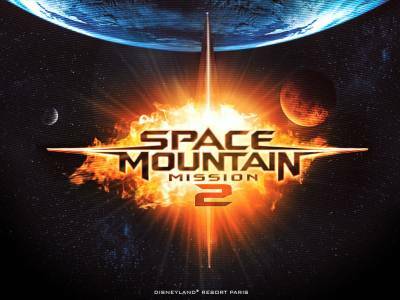 This was the visual used to promote Mission 2 on posters (most notably on the Paris Metro), the modern type face, however, does not quite match the sign on the attraction entrance. The attraction received a VIP opening with a firework display (notably smaller to that of Space Mountain: De la terre à la lune) and on opening morning the usual Disneyland Paris ambassador opening outside the attraction. 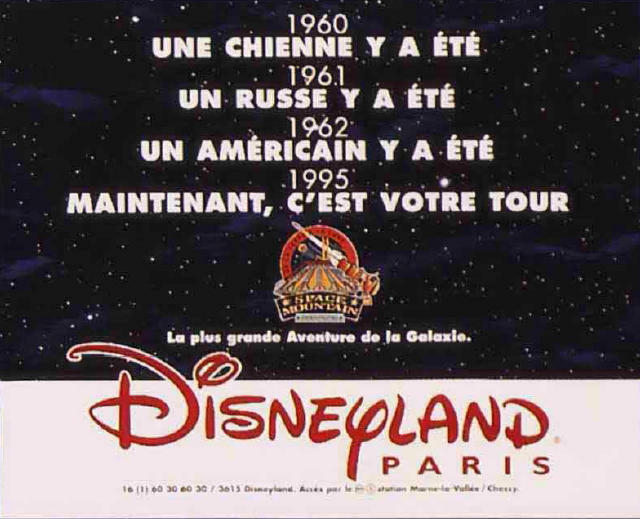 Disneyland Paris has always had a prominent role in advertising their new attraction or seasonal celebration, but perhaps nothing will ever beat the hype and optimism of the opening of the voyage to the moon. Where possible, we always give credit for any images used in our posts. However some are difficult to find, if we have used one of your images, please e-mail info@dlptownsquare.com and we’ll happily correct our post.